A prayer song sung and written by Chahat Malhotra. Video of the song, prepared by a social media based group 'Justice Now' , As the infamous Noida Double Murder case (Aarushi) remains pending before the allahabad high court. The video of this song is available on YouTube at the channel Music Manoranjan. This video is of 6 minutes 47 seconds duration. 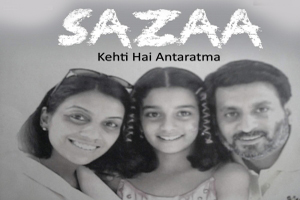 Lyrics of "Sazaa - Kehti Hai Antaratma"
Lyrics in Hindi (Unicode) of "सजा - कहती है अंतरात्मा"